Notwithstanding the remarkable capability of small jet aircraft to carry impressive loads of weapons beneath the wings and fuselage, there have in post-war years been recurring instances of the usefulness of even smaller, piston-engined aircraft carrying more modest weapon loads for use in local or "brushfire" engagements. The concept was pioneered in the early 1590s by a U.S. design, the Fletcher Defender, potentially an excellent coin (counter-insurgency) type but rejected, in those pre-Vietnam days, because it did not fulfil an existing requirement. 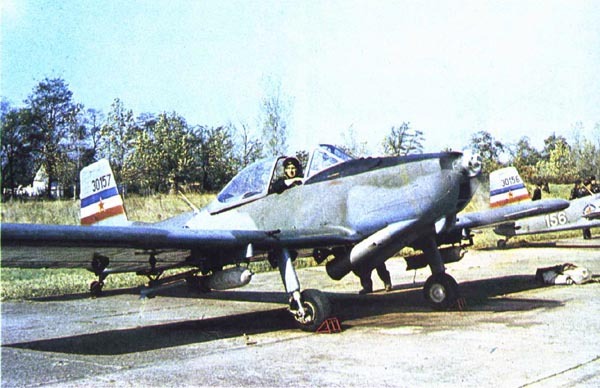 Among more recent resurrections of the concept, one of the most interesting types to appear is the little single-seat Kraguj, designed at the Aeronautical Research Establishment at Beograd, produced by the Soko factory at Mostar in Yugoslavia and first flown in prototype form in 1966. Of simple, all-metal construction, it can take off and land using grass fields or unprepared airstrips of less than 395 ft. (120 m.), and can be flown by pilots with only a minimum of training hours behind them. The Kraguj has a fixed armament of one 7,7 mm. machine-gun in each wing outboard of the propeller disc, with 680 r.p.g., and there are six underwing attachment points for weapons. Of these, the two inboard points can each carry a cluster of small bombs, a single bomb of up to 100 kg, a 40 U.S. gallon (150 litre) napalm canister or a pod of twelve rockets. The four outboard points can each carry a single 57 mm or 12,7 cm. air-to-ground rocket. 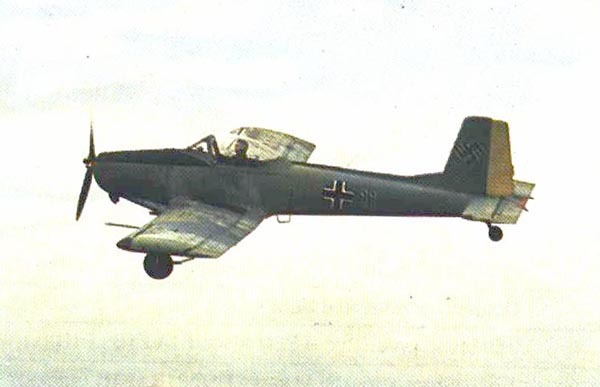 The Kraguj entered production and service in 1968, and has been reported in service with several second-line squadrons of the Yugoslav Air Force,fulfilling the dual roles of light tactical support aircraft and armaments trainer. Alternatively, it can be used to transport up to 660 lb. (300 kg.) of cargo.